“You build on failure,” Johnny Cash once said. “You use it as a stepping stone.” Failure came early in my prospect research career. I once spent a whole day struggling to flesh out a research profile on a potential donor our fundraising office had received a hot tip about. I left no digital stone unturned. I combed media sites, fundraising databases and the cobwebbed corners of the Internet. When I gave my profile, a single sheet of mostly white space, to Jill, the fundraiser who’d requested the research, she said, “Is that it? Nothing more?” I reddened. I had barely found out a single thing about Jill’s prospect. I had even thought about making up some harmless, but unverifiable information just to fill up the page. To look like I hadn’t played Sudoku all day. What Jill did next stunned me. She began to talk about her prospect as if she already knew him. “But he owns a private investment firm based in West Vancouver, his daughter Alexa attends university here and his wife, who kept her maiden name, is the head of her family’s foundation.” Jill went on for what seemed like several, mortifying minutes, while I scrawled down barely legible notes. I had found none of Jill’s revelations in my online and print research. Not a word. This was a very private family, well below the philanthropic radar. The kind of donors that give prospect researchers nightmares. Thanks to Jill’s conversation with me, however, I was able to take the nuggets she’d given me and find out even more. The next day I gave her a three page report, recommended a cultivation strategy and suggested an ask amount in the high six figures. That moment in Jill’s office highlighted a lesson I have never forgotten: The singular importance of fundraisers and prospect researchers talking to each other. That is not always as easy as it sounds, given some of the cultural differences between fundraisers and researchers and the pressures and priorities each face in a fundraising office. I have found, however, four key strategies that help fundraisers and prospect researchers thrive together. Prospect Researchers, know fundraising: Nothing beats having been on a few assessment and cultivation calls to best know what fundraisers need to know about potential prospects. If you cannot accompany your fundraiser to a few meetings, try volunteering with a charity where you have the chance to cultivate a prospect for a gift. Prospect Researchers, know your fundraisers: Try to meet with the fundraisers you serve regularly. Learn their goals, priorities and work styles. Be prepared to adapt your research to meet these needs. Be prepared to draw on your experiences working with other fundraisers to help your fundraiser succeed. Fundraisers, know prospect research: Sit for a few hours with your researcher and work with them to prepare your next profile. Learn what it takes to find significant information on a potential donor using only public sources. Learn how even the small pieces of information you thought were insignificant can make a researcher’s job much more fruitful for you. Fundraisers, know your prospect researcher: Meet with them regularly. Invite them to your strategy sessions. Learn their goals, priorities and pressures. Learn what they need to know about a potential prospect to help you succeed. If you know something about your donor, ensure your prospect researcher knows, too. 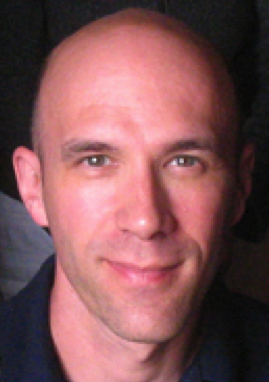 Andrew Boden is the manager of prospect research and strategy at Simon Fraser University. He is also a board member of the Institute for Cross-cultural Exchange (ICE), a Canadian charity dedicated to promoting children’s literacy and cross-cultural education. What an AHA moment! Thanks for this. Awesome post. I couldn’t agree more – too often prospect researchers and fundraisers stay in their own little worlds and focus on the differences in their work styles. Multiple perspectives create better profiles of donors and prospects. Thank you for sharing, Andrew!